Hate to bug you, but if you take the Thruway, it is faster to get to Montreal from points south than it is to Buffalo. Pet Peeve #42: Adults who, without really thinking about it, admit they like to play with Lego, and then when told that there are actually a lot of adults who like to play with Lego, get defensive and act as though adults who play with Lego are losers. #10) Dirty shoes. They have to be clean, shined and upkept. Ah thank you James for reminding me of another pet peeve. People who touch my monitor screen with their fingers. Sounds as if you would adapt well to life in the military. Seeing a booger stuck to the wall of a bathroom stall. Dude, if you're going to pick your nose in here, at least have the common courtesy to wrap the extraction in toilet paper and flush it down the toilet, or just drop it onto the floor like I do. Thinking of an iconic clip from Full Medal Jacket that I cannot link here out fear of eternal banishment. panhandlers. i've had them come up to me on my front porch, had them walk up to my car when i'm stopped at a red light, a few days ago i was driving down the street and these 2 boys waved me down yelling "stop stop"..and when i stopped they asked me if i had a quarter! sheesh. Yet another seduction to break a rule here and make an ethnic joke at your expense, as if you can make a [redacted] pay for even a joke, then again you not being ethnically [redacted], perhaps it wouldn't sense, but perhaps even a religious [redacted] can make cents out of anything. #11) When people talk to me in the morning. I just woke up, seriously, give me my freaking space. #12) When people talk to me when I am reading. Jeeze. You see me concentrating, can't it wait? #13) When my mom tells me to babysit and that she'll be back in forty minutes and ends up taking four hours leaving me to run her household. #14) 'Can I borrow money from you?' Really, what do I look like, a bank? I ought to have these people pay me back with interest if they are going to borrow money from me so much. #15) When my brother uses my computer and leaves his garbage on my desk. My desk must be in tip-top shape at all time; cleanliness is close to godliness. #16) Company. I hate having company visit. No peace and quiet. #18) When my best friend text messages me when I'm doing something important with one lousy word like 'hey'. I don't even respond to my text messages anymore unless it is from an attractive female. #19) Lint on my shirt. I'll go out of my way and pick off each individual tiny piece of lint if it takes me hours. #20) This stupid kid that drives by my house every day several times on his obnoxiously loud scooter. Seriously, I'm trying to read and I have a baby sister that needs to sleep. Can't you keep it down? Sometimes I contemplate on taking my brother's bb gun and shooting that punk from the window. #22) When people finish off a prayer with 'In Jesus Name Amen', sounds so Protestant. #24) Windy days. I live in a town in the Bay Area which is very windy. I absolutely hate the wind. #25) When no one brings meat to Coffee Hour and it is not even a fasting period. Seriously! I need meat in the morning. #26) When I go out of my way to buy my special, expensive bag of fancy, high-end Colombian coffee every few months when I get enough money for it and I see people in my household brewing pots of it left and right as if it were your cheap, average class can of coffee from the store. I work hard to buy that small bag of coffee and I really love it. Is it so much to ask for you people to leave it alone or at least make less? #27) When I just finished washing the dishes, wiping the counters, sweeping, mopping, cleaning the stove, stocking the fridge, taking out the garbage and the entire kitchen is spotless but then someone in the house comes in, starts cooking, leaves their dishes in the sink without washing them and does not pick up their mess after I just cleaned the kitchen. I don't like to touch public handles on anything, especially on the doors exiting the men's bathroom. I figure some guy probably didn't wash his hands, then grab the handle. (Often at restaurants where they go to continue their meal) I've been known to take some of the brown crinkly paper towel things and open the handle & drop it on the floor or wastebasket if nearby. I don't like even touching handles to get into stores/shops that have them. But handles on my own home, families homes are okay etc. May be a germaphobe. The crazy thing is: I was thinking the same thing. Gunny Hartman rocks! Yeah, that one bugs me, too. Especially when we have TWO toilet paper dispensers in the bathroom and my housemates let them BOTH run almost completely out without replacing either one of them. The only problem with such a strong and awesome perfomance is that I fear generations will only know the film from those youtube clips and that the rest of us will forget what a perfect film it is from start to finish. Them: Ooo, cool. Like LA? Them: Oh, so you're from San Francisco. Me: No. North of San Francisco. Them: There are people living north of San Francisco? The worst part is that before that wine movie "Sideways" came out, there were actually people (tourists) with whom I would have variations of this conversation while they were visiting my hometown, which is located 70 miles north of San Francisco. Um...you're here already. What, do you think it's just me and you and the people who make your overpriced salads? And even worse, after that movie came out many people I talked to (after moving to Oregon, not so much here in NM) would want to know "Is it really like that?" I've never seen the movie, so I don't know what 'that' is. Or "What's it like living among all those beautiful vineyards?" I didn't want to bum them out by explaining that the vineyards are usually out in the valley where a lot of migrant workers live, so they're pretty poor but the land is kept looking nice (mostly by those same poor workers, because you can bet that the owners probably aren't going to do it) for the tourist trade. I didn't own a winery (my family sold industrial plumbing supplies...beautiful, I know), so I just told them that it's a lot like living surrounded by a lot of country club golf courses...they're pretty, but unless you've got the money or connections it's look, don't touch. I'm glad I don't live there anymore. Eh my viewing I disliked the second half of the movie. The first half was genius, but maybe I need to revisit it. You can't say, "I disliked the movie, but I can still see that it was a masterpiece."? You sound like a bit of a dandy. Lighten up and I bet the sun'll be brighter. Seriously though (<--That means I was teasing you ), you gotta let some stuff roll off of you like water on a duck's back. Speaking of Full Metal Jacket, one of my pet peeves is kids quoting R. Lee Ermey's lines to each other, over and over again. It's become almost a dead ritual of adolescence. Many a Monty Python sketch has also been ruined for me this way. When people find out I'm a nurse and start kvetching about last time they were in the hospital and how horrible it was. I'm sorry if you were unhappy with the care you recived. But since I'm a nurse in Richmond, VA I just don't feel responsible for what some nurse or X-Ray tech did to you in Akron 6 years ago. 1.) The "Candle Police" in church that have to move all around and huff and puff to blow out the candles when they've burned down low. Esp. when they do this during sacred moments during the Liturgy. It drives me crazy. I wish they'd just let it go. Let the altar boys handle it after Liturgy is over. 4.) Loud canned "muzak" in restaurants and department stores. 5.) High-pitched female voices over a public address system (like fingernails on a chalkboard to me). 6.) Children that play in the street in my neighborhood, even though they have homes with large front and backyards. 7). Bumper stickers on cars. (Esp. rude, pointedly vulgar, or militantly religious or political ones). My car is bumper sticker free. 8.) People that throw garbage and litter out of their car windows and trash the roads. 9). People who cannot enjoy a walk in public without talking constantly talking on a cell phone. 10.) The use of the phrase "boots on the ground". It just sounds hideous. For some reason Lebowski has just gotten better over time with adults doing the same. I usually hate pop culture referencing non-talk among any age group. I am thinking it has to do with the depth and type of material being used. It just seems to tie the room together. I see your point. However, the altar boys have an ingenious solution to the problem. After Liturgy is over, they bring out small hand-held electric hair dryers, turn them up on high and force the heat down into the candle socket. It make the melted candle stub come out very quickly. Person: Really?! Cool! I've always wanted to go there and see *insert NYC landmark here*. Person: *disappointed* Oh... Have you ever been to NYC? 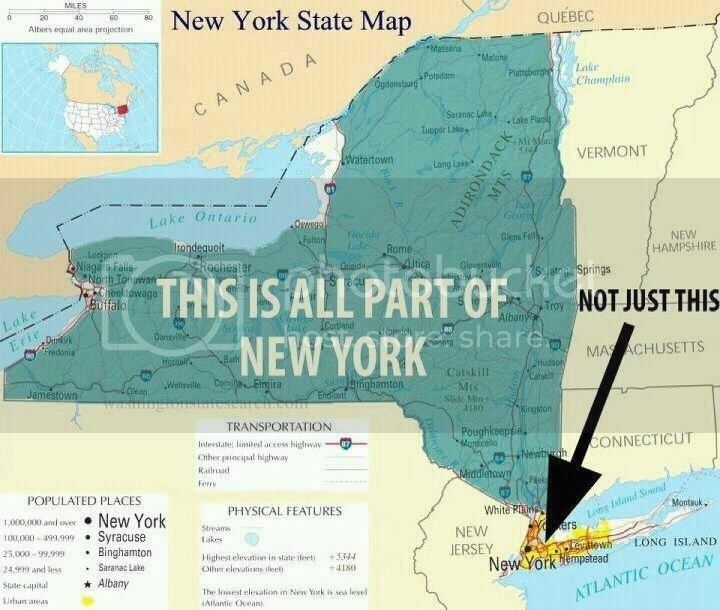 *As The Mathematician pointed out upthread, anything not NYC is upstate. - People eating off of my plate. I get homicidal. I'm very territorial about food, apparently. Maybe my family tree isn't very highly evolved or something. - When I say I like a song that is on the radio and turn it up and the person I'm with starts singing along. I'm sorry, are you Adam Levine? No? Then how about you STFU. Actually, scratch that. People singing along to music pretty much always annoys me. I want to hear the artist, not the caterwauling of my friends. Life is not karaoke. - The Little Drummer Boy. Ugh. Awful. I also cannot stand fingerprints on my phone. I always have a microfiber cleaning cloth on me. Cleanliness of my floors. I feel like no matter how clean your house is, if your floors are dirty then it all looks dirty. Are you serious about the mascara, 'cos you sure look like you are wearing plenty in that picture. No way could you have those big brown eyes naturally! Yes, before I sat for my avatar picture I applied many coats of mascara. Alas, that big-eyed look doesn't come naturally! Seriously, ZZ, you don't need makeup to look good. That hairdo is the definition of glory! I bet you are the hottest alpaca in all of whatever suburb of NYC it is that you live in! Pet Peeve #10: Universities, who are more than happy to take $25,000-$125,000 for your attendance at their school, but can't seem to manage to provide simple information like class schedules or course equivalencies for transfer students. "We'll evaluate which classes will transfer when you apply." Wouldn't it make more sense to tell me ahead of time, so I could take classes I know will transfer, saving me from wasting both time and money? Self Pet Peeve #1295: It's early in the morning, and I'm sound asleep. All of a sudden I hear a pounding knock at my door. I leap out of bed! I throw my glasses on and stumble through the hallway, and arriving at the door I peer through the peep hole, seeing... . . . . no one. The knock I heard was part of a dream. Blah. So am I, actually (Southern Tier FTW!)... I still always say I'm from upstate, though. That's pretty rude. People actually do that to you? The most I do is ask if I could finish someone's plate when they are done and there is food left over. But only with my mother because she is the only one in my family who does not eat like an animal. Doors, including cupboard and closet doors, being just partially open. It drives me nuts if they aren't shut either all the way or open all the way. What Quebec separatist made this map ? Valid peeve, BTW - inaccurate and/or misleading maps. For me it depends on how much sleep I've gotten; when I've gotten 12 hours, I couldn't care less; when I've gotten four hours, I risk committing a homicide.